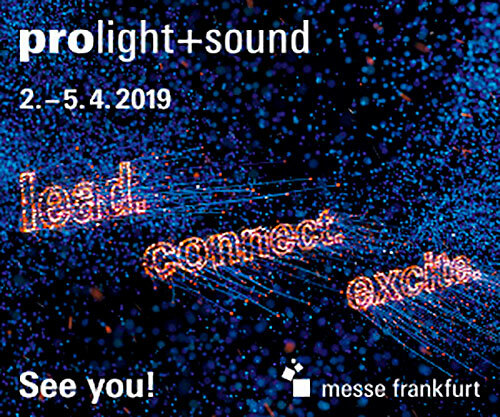 Prolight + Sound is the sector’s most important international meeting place for technologies and services relating to entertainment, shows and events, audio-visual systems integration and content creation. Come and join us from 2. – 5. April 2019: 10 a.m. – 6 p.m., on the Messe Frankfurt fairground. Meet us: Hall 8.0 Booth D92. We look forward to greeting you as our guest at PLS 2019!